The king of Facebook has spoken on virtual reality. 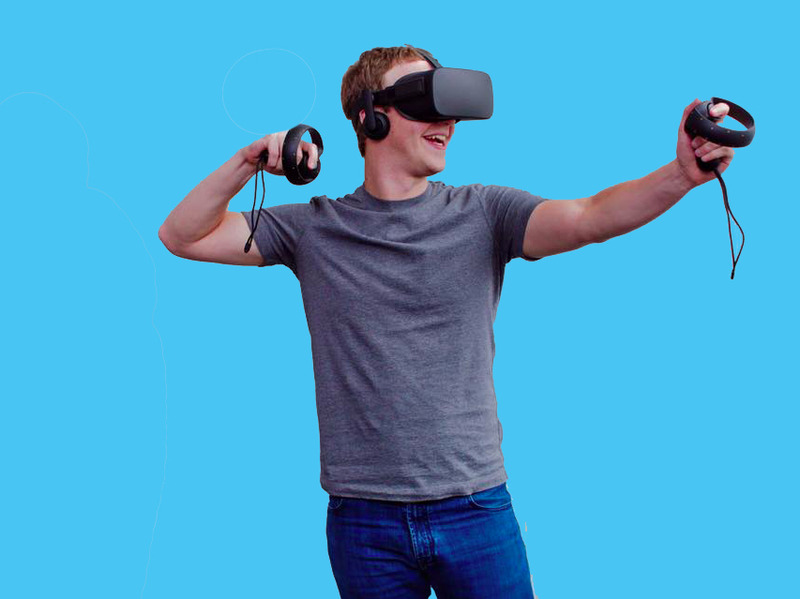 Mark Zuckerberg believes VR devices powered by smartphones will be the main factor that pushes early adopters to buy them, he said in an interview with Mathias Dopfner, CEO of Axel Springer (Business Insider’s parent company). The BI Intelligence Content Marketing Team covers news & research we think you would find valuable. This topic was originally highlighted and sent to subscribers of the Mobile Insider Newsletter. The king of Facebook has spoken on virtual reality. Mark Zuckerberg believes VR devices powered by smartphones will be the main factor that pushes early adopters to buy them, he said in an interview with Mathias Dopfner, CEO of Axel Springer (Business Insider's parent company). The Facebook CEO also pointed out, though, that consumers would eventually shift toward VR devices powered by PCs for a more robust experience. Facebook will launch its PC-powered VR headset, the Oculus Rift, on March 28. Consumer interest in VR hardware is starting to rise, and several companies are planning to release their devices this year, notes Laurie Beaver, research associate for BI Intelligence, Business Insider's premium research service. But there will be challenges once these devices hit the market. The more sophisticated devices, such as the Oculus Rift and HTC Vive, also happen to be the most discussed, but they require high-end gaming PCs to function properly. Nvidia VR general manager Jason Paul told VentureBeat that only approximately 13 million PCs in 2016 will be able to power these VR devices properly. So consumers would have to upgrade their current PCs or buy new ones, which could cost upwards of $1,000. Therefore, consumers will move toward the smartphone-powered VR headsets in the early- and mid-term, Beaver notes. Once the Oculus Rift and similar products hit the market, the world of VR will truly explode. Most of the focus for VR has been on gaming, but there are several other opportunities within the VR space, including video and e-commerce. 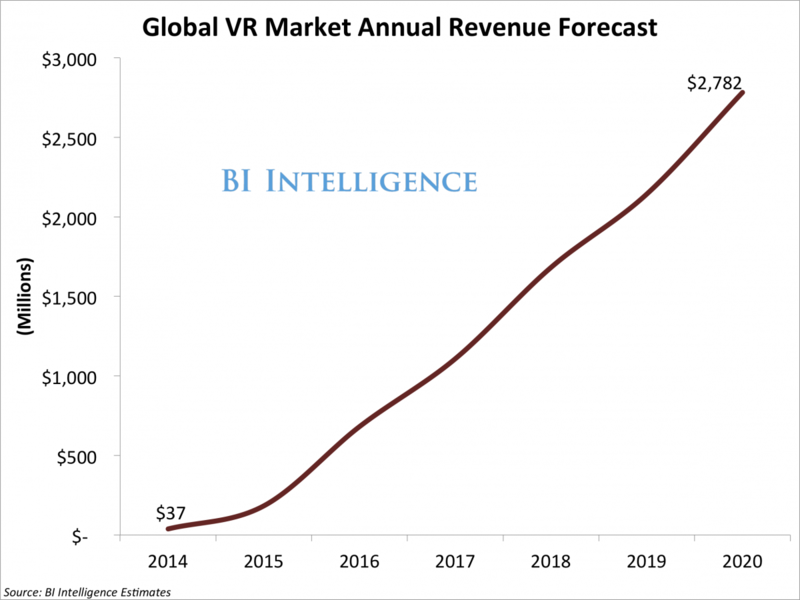 So where is the VR market headed? BI Intelligence has compiled a detailed report on virtual reality hardware that provides proprietary forecasts for VR headset shipments and revenue and estimates average selling price over the next five years. The report also takes a look at the different types of VR headset technology now on the market, discusses which categories will win out, and looks at several use cases for VR headsets, including gaming and other. The choice is yours. But however you decide to acquire this report, you’ve given yourself a powerful advantage in your understanding of the emerging world of virtual reality hardware.